Degradation of the environment and climate change are the most important challenges facing humanity. For thousands of years humanity lived in harmonious relationship with nature. The industrial revolution marked a major turning point in Earth’s ecology and humans’ relationship with the environment. Following the Second World War, massive urbanisation (from 30% of global population in 1950 to 56% in 2016), manifold increase in global GDP (from $5.7 trillion in 1950 to $110 trillion in 2016), unprecedented growth in population (from 2.6 billion in 1950 to 7.4 billion in 2016) and rising energy consumption, have resulted in a quantum leap to human induced activities, particularly since 1950. Today, we are in the midst of a rapid transition to a world where human populations are more crowded, more connected and more consuming, simultaneously co-habiting with unparalleled levels of poverty and hunger. With rapidly increasing consumption, the carrying capacity of the Earth has come under tremendous pressure. Large-scale mining, massive industrialisation, intensive commercial agriculture and destruction of forests have given rise to unprecedented pollution of air, rivers, lakes and oceans, desertification and acidification of soil, decline in bio-diversity, contamination of groundwater aquifers, rise in temperatures and erratic weather patterns. Soil-loss rate exceeds soil-formation rate at least by tenfold. Per capita availability of fresh water has declined by about 70% since 1950 while consumption is up by about 9 times. Air pollution has emerged as the most serious health hazard resulting in over seven million deaths per year. Anthropogenic greenhouse gases are resulting in global warming and climate change, threatening the life support system on planet Earth. Despite the plethora of international negotiations, declarations and treaties since the Earth Summit in Rio in 1992, the ground realities continue to deteriorate. The governments, NGOs and environmental experts have successfully converted a simple subject into a most complex matrix. Transition towards sustainability remains a distant dream. Under these circumstances, it would be worthwhile to look at the wisdom of our ancestors who lived in harmony with nature for thousands of years. 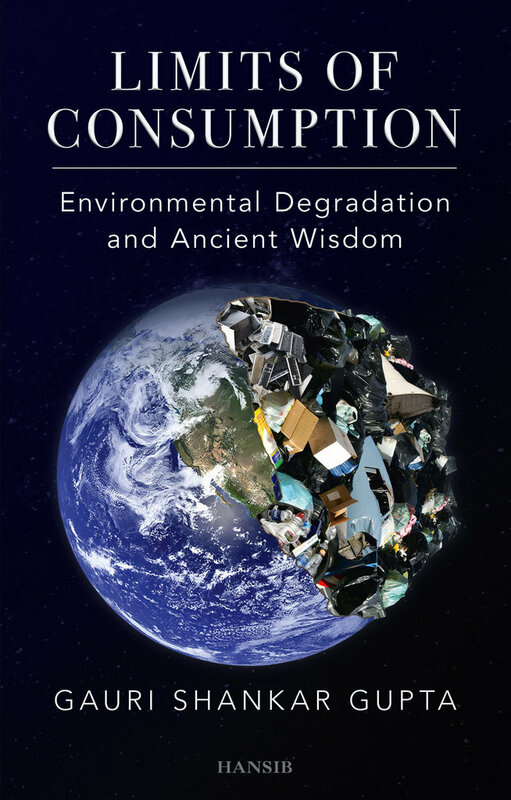 Based on comprehensive research, this book attempts to bring out the ground realities and the wisdom of our ancestors in a concise and coherent manner to mitigate this serious threat to humanity. Gauri Shankar Gupta has served as India’s Ambassador to Mongolia, Hungary and Bosnia & Herzegovina and as High Commissioner of India to Trinidad and Tobago, the Commonwealth of Dominica, Grenada and Montserrat. He is a writer and a poet whose books include, Mongolia: The Land of Blue Skies, Unravelling Mysteries of Life – Modern Science and Ancient Wisdom, and Science and Spirituality. His published works also include three books on poetry, Droplet, Sublime and Chand Lamhe. Gupta has also contributed many articles on foreign policy issues and has presided over many conferences. Presently, he is engaged in research on environmental issues.